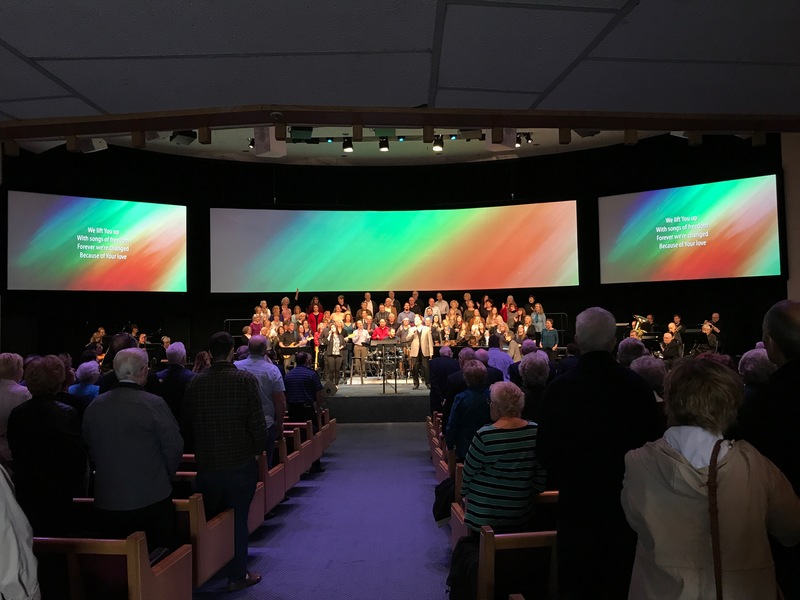 With a set of aging projectors and a vision for change, Portland Christian Center in Portland, Oregon engaged AGI to accomplish their desired video upgrade. James Polits, creative director at the church, enlisted the help of AGI’s Kevin Hartman to design a solution that would provide impact but maintain functionality for church activities ranging from weekend services to seasonal concerts. edge blending technology, and a 40′ curved screen layout. Kevin leads project management and design for RAIN. His background includes years of experience in internationally televised live and online broadcast events, as well as audio/video post-production. Kevin brings his experience to the House of Worship market operating out of the RAIN Sacramento, CA office.